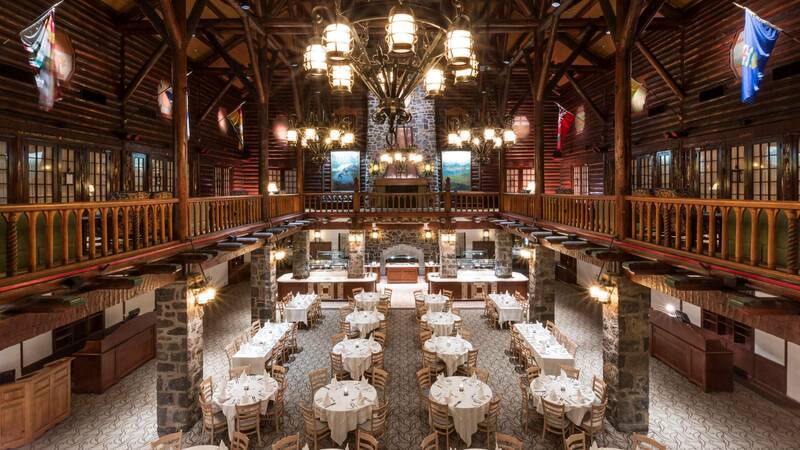 The Fairmont Chateau Montebello is located midway between Ottawa and Montreal It is the largest log cabin in the world and was built in just 4 months in 1930. 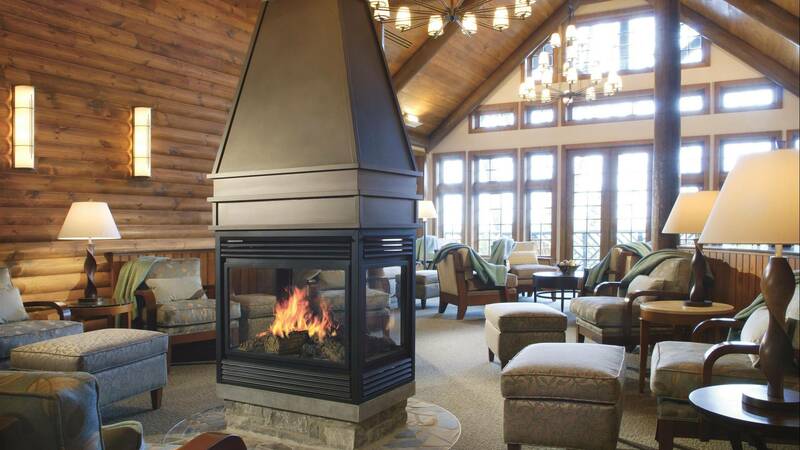 This extraordinary wooden building is centred around a lobby/dining room with a huge 6-side granite fireplace. Radiating out from the lobby are six arms containing guest rooms, suites and facilities. 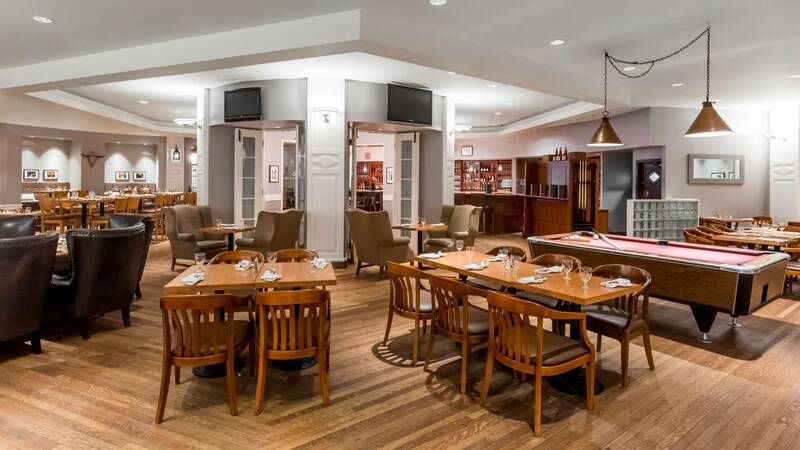 Dine by the fireplace, on the terraces, by the Ottawa River or by the pool. 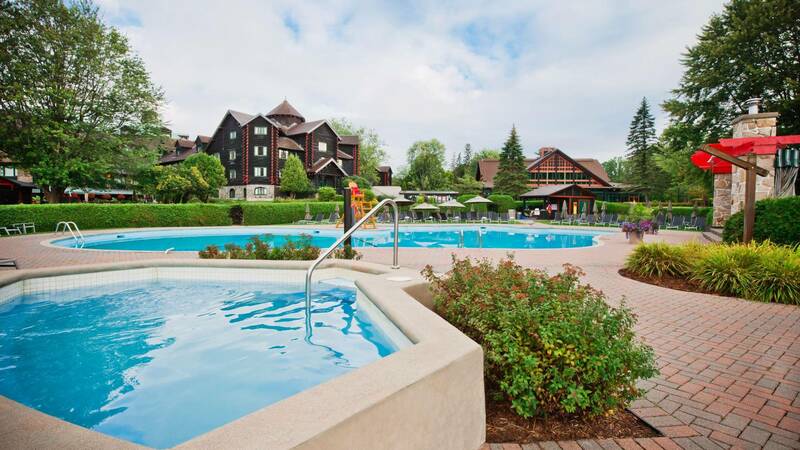 Activities include fishing, riding and hiking, dogsleds and snowshoes, an exceptional Montebello golf course, outdoor tennis, cross-country skiing, curling, tubing, Canada’s only Land Rover Experience Driving School and there is a huge indoor swimming pool and full service spa. Fairmont Le Château Montebello offers a total of 211 guestroom accommodations, including six Jacuzzi Rooms and seven one or two bedrooms suites. Fairmont Room – these charming accommodations are located predominantly on the first and second floors and feature large windows. Fairmont Rooms offer views of the lush green lawns or shady lane leading into the resort or, for a bit more, they have view of the Ottawa river. Rooms feature a modest sized bathroom with shower/tub combination. The maximum occupancy is four people, depending upon bed type. 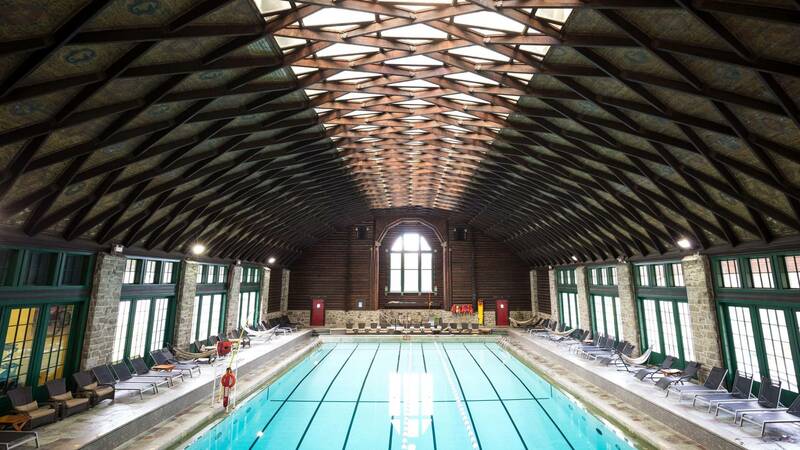 Unusual hotel in a beautiful setting with many different activities and away from the busier cities of Ottawa and Montreal.